Christened Abigail Armstrong but known in the circles as Abi Monage is partly a Ghanaian and a Togolese. Born to the Armstrong family on the 4th Of August 1997. Abi spent her formative years, both in Ghana and Togo, and as a result, most of her lifestyle and growth was influenced by the francophones and the Ghanaian culture. She started her Primary education at Shalom International School here in Ghana at Ashaiman. She continued with her secondary education at Jipas Secondary School in Togo. Upon completion, she came back to Ghana to work and put some seriousness into her God-given talent as a singer. After her bold decision, the singer has since worked with a couple of engineers all in the quest to build up to become who she wants to be. 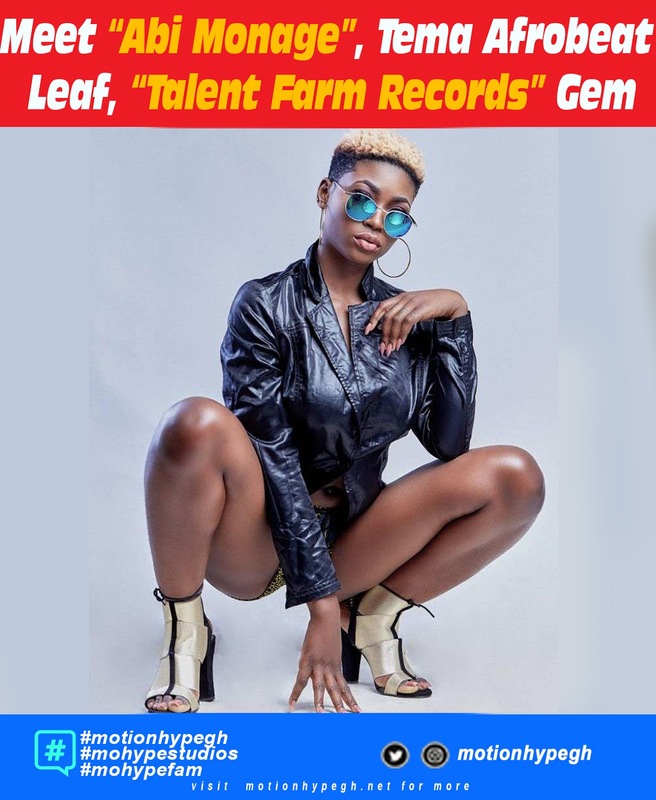 Abi Monage started getting some social media attention when she did a cover of the late Ebony Reigns song titled “Maame Hw3” at the groundup studio inside Tema. The budding songstress noted she derives inspiration from the American female rapper Nikki Minaj and loves her style, attitude, and stage mannerism. She said everything about Nikki and her life story get her moving and not to stop for nothing until she gets there. Abi Monage looks up to a couple of artists both locally and internationally and would love to work with them, but that will be in the near future, but for now, she wants to let the world know what she is made of before engaging any other. Sharing how she gets her songs together, she said that putting music together, she looks at things around her. She added that things that happen in society and on daily basis influence her writing. Abi loves to set herself aside from all the noise when writing as the serenity in the environment brings out the best in her. To a budding artiste who believes the sky is just a stepping stone and would love to have all the beautiful things in life and all that makes life comfortable with music, we can only expect the best from her camp. The (TFR) “TALENT FARM RECORD’S” signee is set to reach higher heights with her craft as she puts her head to the hustle and works her way to the top. Follow Abi Monage on these social handles below.